-Invertebrates that commonly live attached to the hard substrate (sessile) making huge amounts of water to pass between their filtering structures and collecting food particles. All invertebrates are part of what we call “fouling” and to increase their biomass it is necessary only to increase the surface of the structures on which they can fix. They are animals and therefore feed on small organisms and organic matter. -Macroalgae that need light and develop more on the surface. 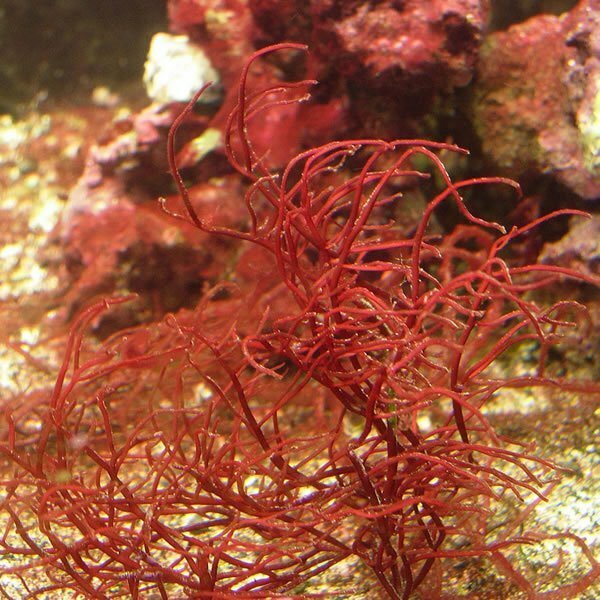 The macroalgae, are vegetal matter and therefore feed on inorganic substances. No food should be added to obtain biomass for both of them. Among bioremediatiors the molluscs are the more utilized filter feeders, and their breeding has a long tradition. It is known that they grow fast under special water conditions with high organic load. 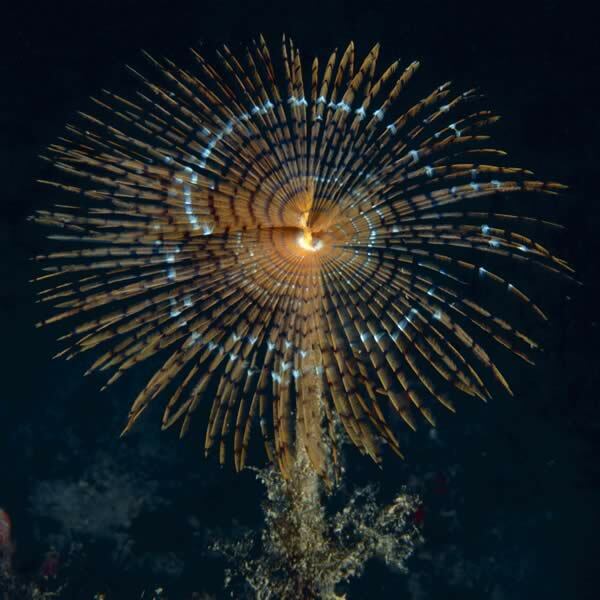 Like all marine filter feeders, they are sessile and process large amounts of water “by cleaning up” microorganisms and suspended particulates from the water. Even the oysters are much appreciated and cultivated for a long time, particularly in the Salento area with a peculiar species called “salentine oyster”. They have the same function as mussels, but are characterized by a slower growth and greater breeding ing difficulties. 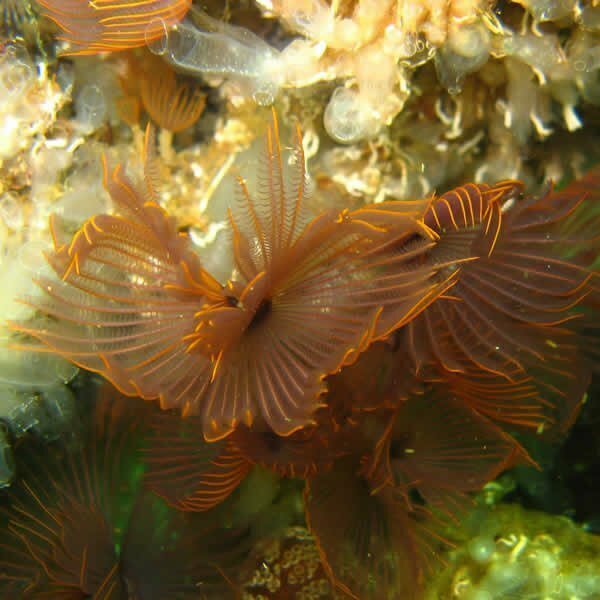 They are filter feeding tubeworm worms that feed on microorganisms (bacteria) and dissolved and particulate organic matter present in the water column. Their biorimedation is aimed above all at a higher demolition of the organic load compared to that obtained with the use of molluscs alone. The results obtained by microbiological investigations have also shown a remarkable capacity of microbiological accumulation of various bacterial categories. The most interesting aspect is the high accumulation rate observed for the bacteria of the genus Vibrio, to which belong many pathogenic species to the fish. Among the non-edible organisms, the Porifera or sponges have all the requisites necessary for their breeding. The porifera are marine benthic invertebrates, effective filter feeders, able to remove very small organic particles (organic dissolved and particulate matter, bacteria) from the water and therefore do not compete with the other filter feeders, but guarantee a more efficient “cleansing” of the water. Sponges also break down the bacterial load and the vibrions. 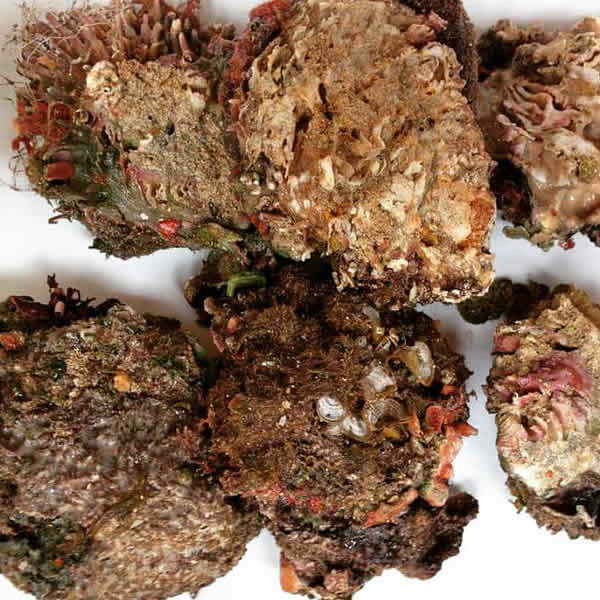 The hypothesis of using Porifera near offshore intensive farms to reduce the environmental impact induced by the activity of fish farming is supported by the high tolerance of these organisms to the environmental stress conditions induced by these activities. 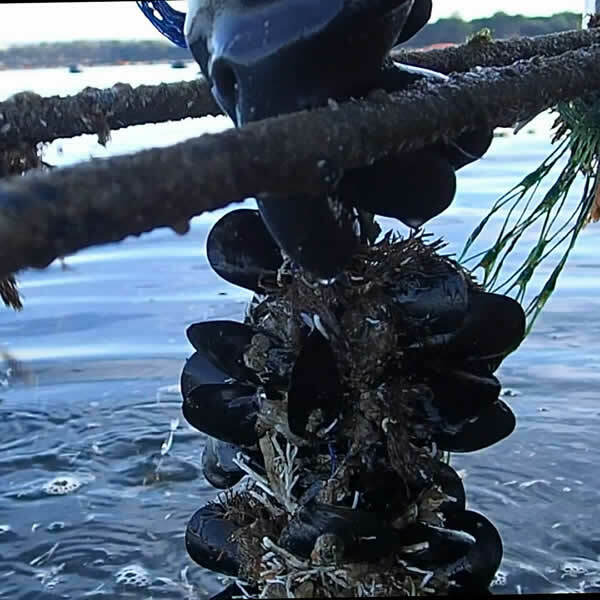 The collection and cultivation of macroalgae, which in any case proved to be particularly suitable for the production of exploitable biomass, is a fairly recent activity. In IMTA systems they are particularly efficient in the elimination of a large part of the ammonia excreted by the fish and in the reoxygenation of the water, also guaranteeing a plant biomass production that in some cases can represent palatable food for the breeding of gastropods. 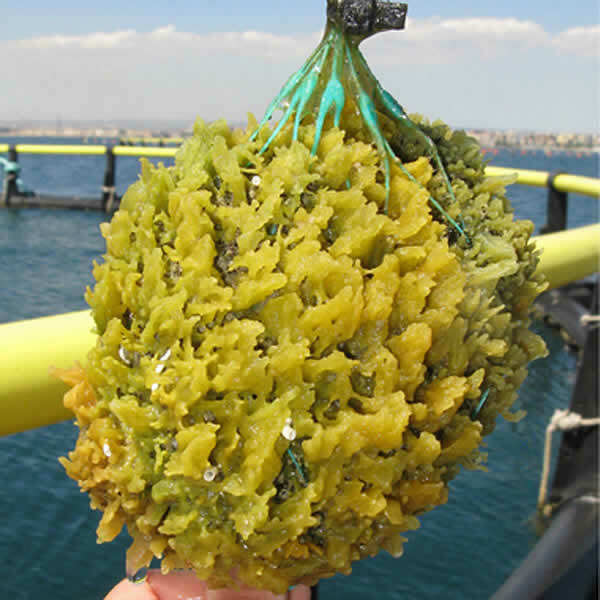 The production of macroalgae requires considerable space, moreover, the waters of the Mediterranean seem to be too “clean” for their efficient growth, however the increase of waste due to the production of fish can create suitable conditions for their development.